Alexis Sanchez scored twice after returning from injury to give Chile a 3-1 win over Uruguay to boost their qualifying campaign for the 2018 World Cup. The Arsenal forward had missed their last qualifier in Colombia last week due to a muscle problem, but returned to star in Santiago on Tuesday night with two second-half strikes as Chile came from behind to win. 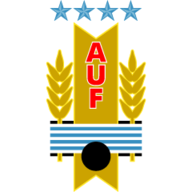 Uruguay opened the scoring through Edinson Cavani after 17 minutes, but the Copa America champions responded to secure one of their best wins of the tournament so far. The turnaround began with striker Eduardo Vargas nodding in a cross from the left to level the score in the dying moments of the first half. After 60 minutes, Uruguay goalkeeper Fernando Muslera failed to save a powerful shot by Sanchez from the edge of the area, and 16 minutes later he scored again to seal the win, smoothly finishing from the edge of the area. Uruguay then had a chance to pull one back, but Manchester City goalkeeper Claudio Bravo was on hand to deny Luis Suarez from the penalty spot. 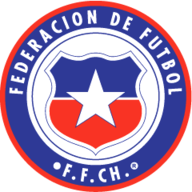 Chile are now in the fourth and final qualification spot with 20 points, while Uruguay remain second with 23.